Whey protein is a muscle building supplements that has many benefits to both children and adults who use it. Though it is considered quite safe to consume via oral means, the supplement may come with some side effects that are very crucial to know about before embarking on using it. Being a protein, high consumption of whey leads to an overdose of amino acids in the body and this may have serious implications. Above normal intake of whey protein can cause nausea, severe cramping, fatigue, headaches and migraines, decrease in appetite and even increased movement in the bowels. These are just some of the side effects that come with too much intake of whey protein. Another side effect affect people with a milk allergy. People with such an allergy should avoid this supplement at all cost. 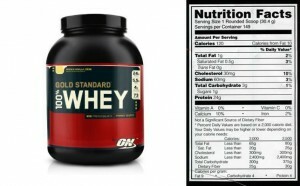 Whey protein also has a negative interaction with antibiotics. Taking whey protein together with any type of antibiotic can reduce the effectiveness of the latter meaning the harmful toxins in the body are not taken care of. It is highly recommended that this supplement be consumed a few hours after taking any type of antibiotic to avoid this negative interaction.